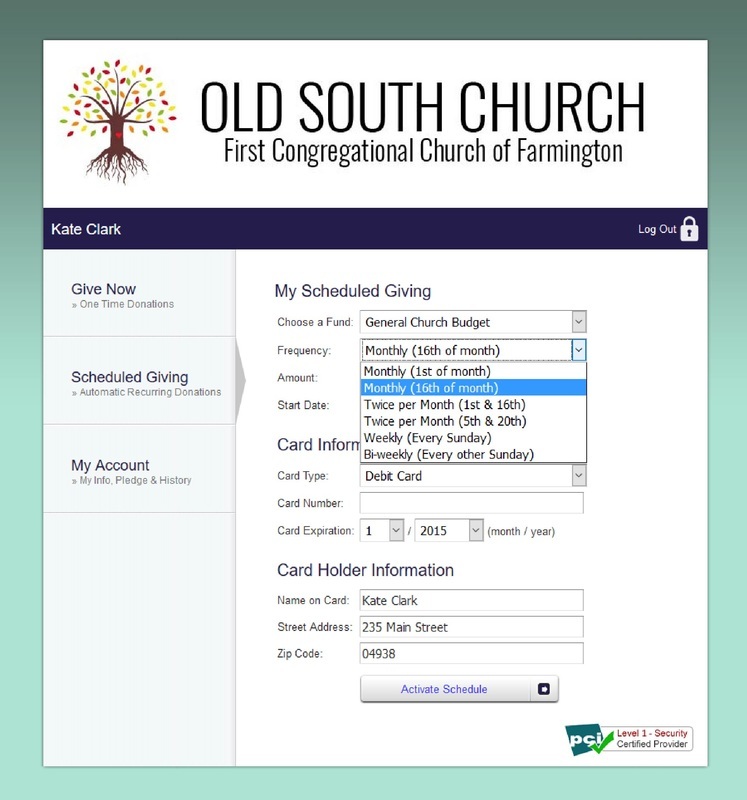 There are three ways to tithe—Quick Giving, One Time Giving, and Scheduled Giving. See below for an overview of each and a quick tutorial on how to get set up. If you need more help or have any questions, contact us. 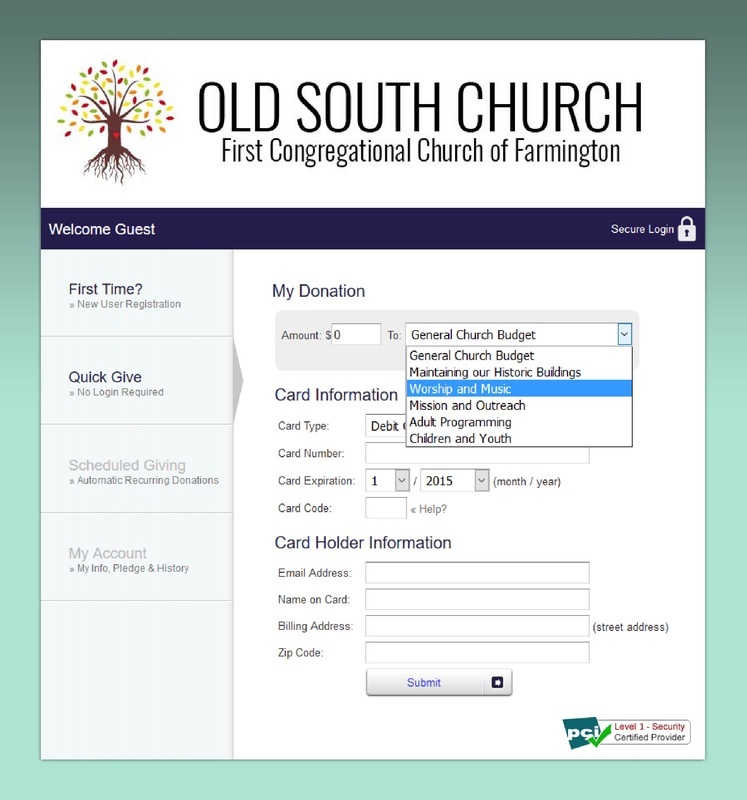 Quick Giving requires no registration or signing up. You just choose an amount and your passion, enter your payment information, and click submit. Quick Give also doesn't count your donation towards your pledged amount, so this option is best for people who have not pledged and don't anticipate giving in the future. One Time Giving and Scheduled Giving both require registration. It's quick and easy, just enter your information and choose a password. The Give Now tab will allow you to make a one time donation. Enter your amount and choose your passion, then enter in your payment information. Click submit and you're done. If you'd like to set up regular donations, you can do that through Scheduled Giving. This works the same way as the EFT Transfer, except that you can choose from several frequencies. Once you've set up your frequency and amount, just choose the date you'd like start, enter your payment information, and click on Activate Schedule. To make any changes to your scheduled donations, please contact us.